Now this really is a challenge for me. The honeymoon for me and the place I live is over. Growth brought lovely things at first. Now, it’s bringing more of the negatives: traffic congestion, more crime, failing infrastructure, higher cost of housing, tacky, generic apartments/condos being built, etc. But there are still a few things that I enjoy about my city. Let’s take a tour. We have a skyscrapers, but the city isn’t overrun by them, yet. This allows us to still see lots of sunny skies even in winter and unblocked views. The city also tries to upgrade rather than tear down. Just before the skyline shown are old warehouses that were turned into restaurants. The low buildings help downtown not feel too claustrophobic or crowded in the air. Although this is just starting to change, from the 6th floor of a 13-story building, you can see lots and lots of greenery downtown and during every season. Even from this second story parking lot you see trees. 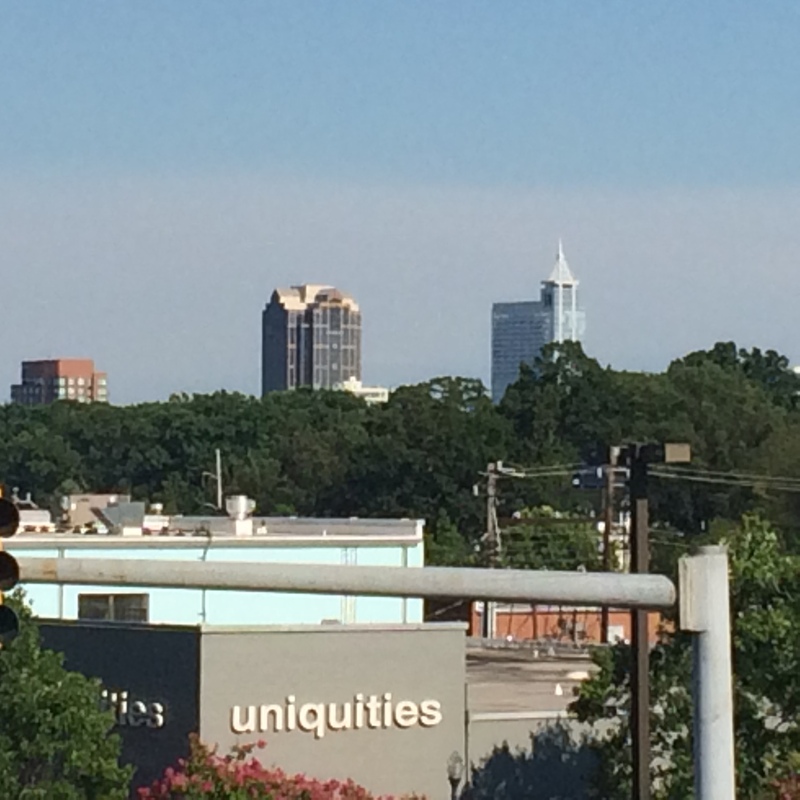 The city still lives up to its moniker — City of Oaks. There are three dog parks in the city and several more in the towns that make up the surrounding metropolitan area. 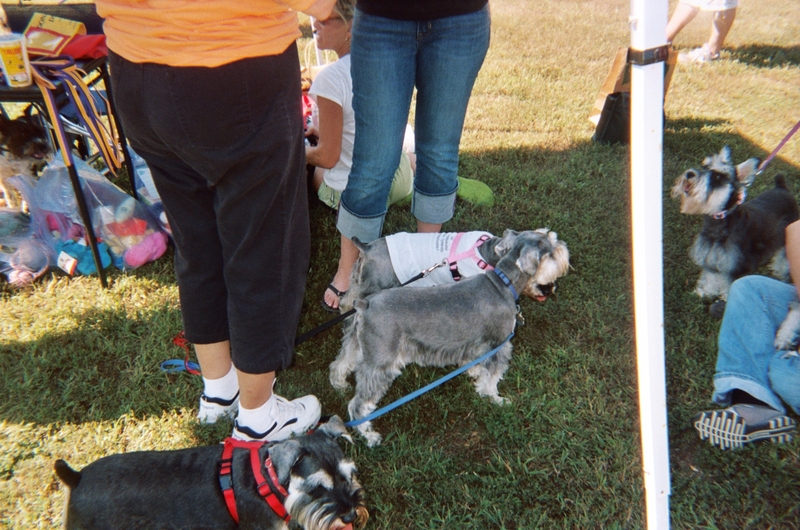 This is an event held by a Schnauzer Rescue group at one of them. Take a tour of other cities at The Daily Post. Wordless Wednesday: Am I blue? Laissez les bons temps rouler! Copyright ©2019 Pinkpodster Ponders. All Rights Reserved.